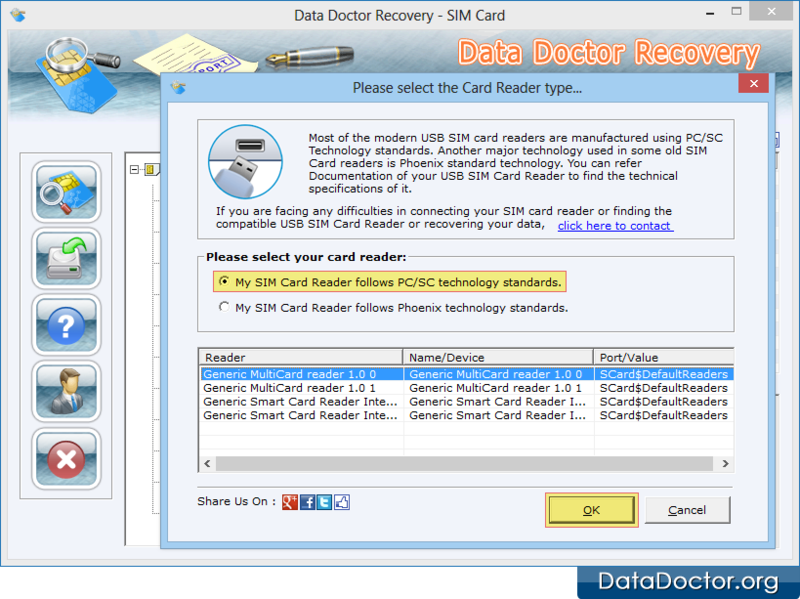 User need to connect sim card through USB sim card reader. Then user needs to click on “Search” button, the screen shown below will be displayed. Select option of “My SIM Card Reader Follows PC/SC Technology Standards” and click on OK button to continue. 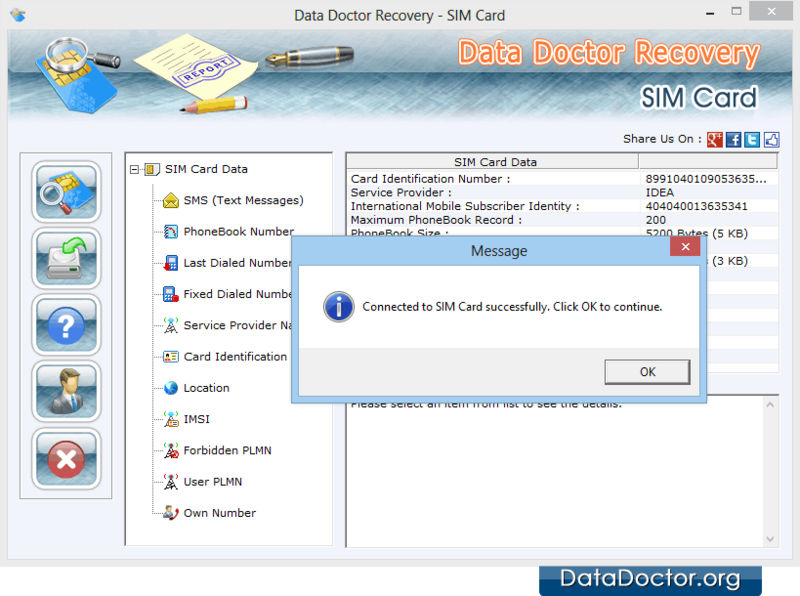 If user device is connected successfully, the screen shown below will be displayed with message box in which “Connected to SIM Card successfully. Click OK to continue” has been written. User need to click on OK button to continue.